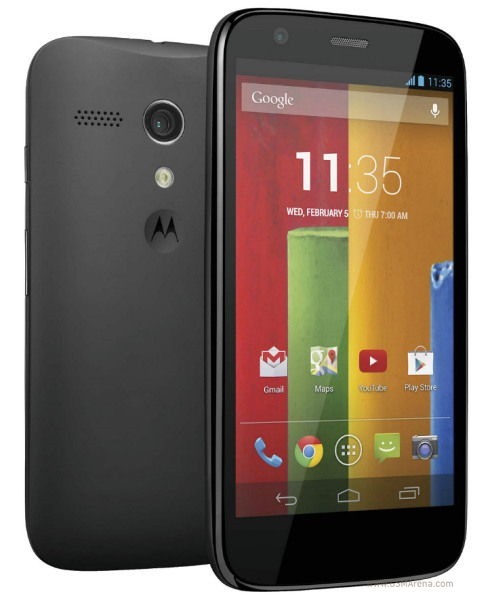 The Moto G isn't a high-end phone, but it has sold extremely well for the company. 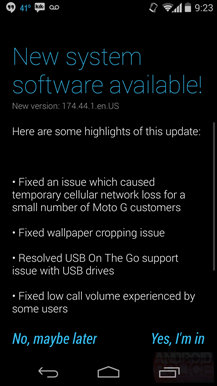 So it's no surprise it continues to get some update love. 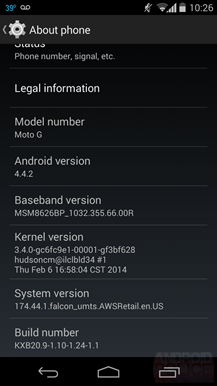 This phone is already on Android 4.4.2, but it's getting a maintenance update to fix a few annoying issues. 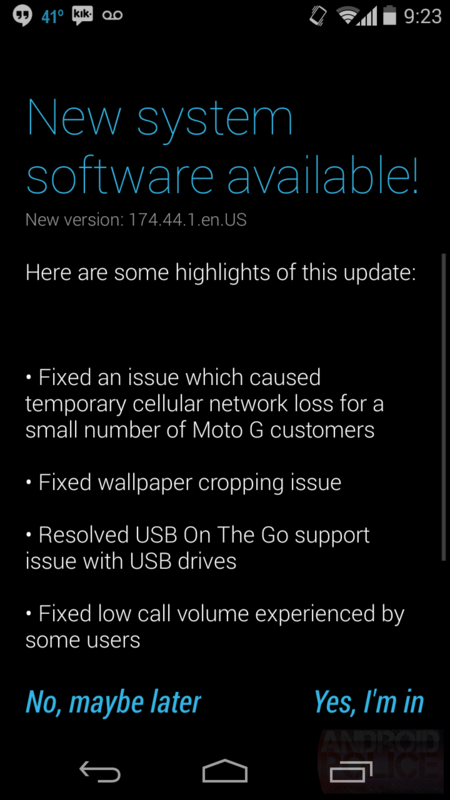 The update is version number 174.44.1, and should be reaching all the GSM Moto G units globally (spotted in the US and UK so far). 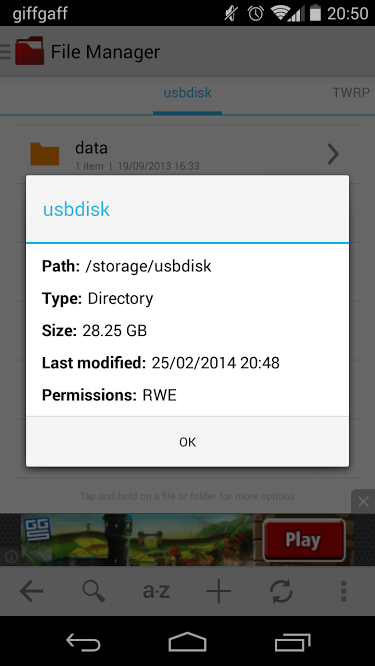 The USB OTG tweak is particularly great – users can now read USB drives without root. The cellular improvements will also make a lot of people happy. 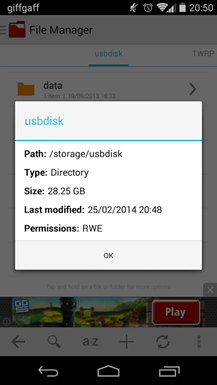 The OTA should be available by checking for updates, provided you have the right model. 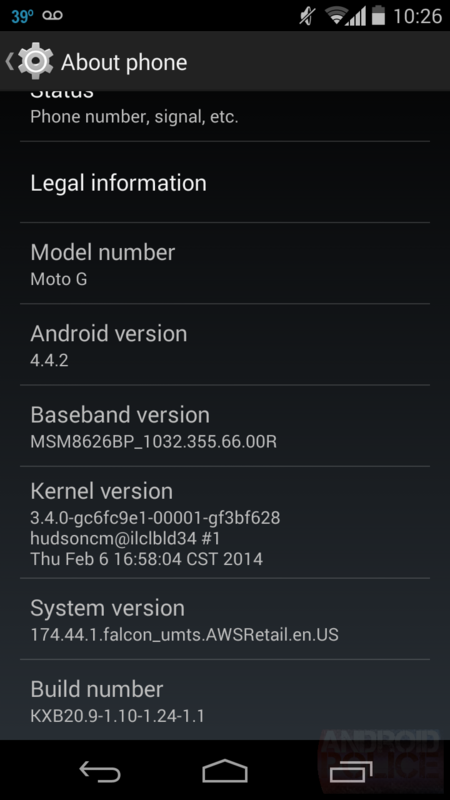 No word on a CDMA version for this OTA just yet.